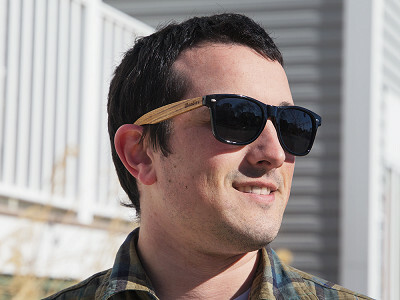 The wooden sunglasses from Woodies are based on classic designs, with a cool twist—the arms are made from wood. Woodies uses walnut, zebrawood, and rosewood, and lets the natural grain and markings shine through. But it doesn’t weigh these shades down—each pair is lightweight, with double-spring stainless steel hinges to help stay in shape. And the dark lenses are polarized for extra protection from the sun, too. Founder Cory Stout is all about the beach. He’s at the helm of Woodies while traveling around the globe, and always has his captain’s hat on—literally. His fascination with wood paneled station wagons popular in the 1960s surf scene (nicknamed woodie wagons) sparked the idea to use wood in an unexpected way. 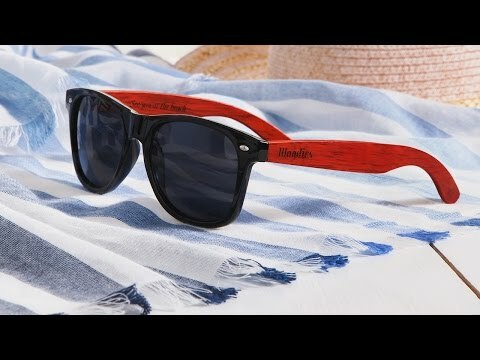 His sunglasses have a decidedly beachy vibe, but with timeless frame styles that create the perfect combination for the beach or beyond. Hello everyone! I'm proud to introduce Woodies to The Grommet. I'd be happy to answer any questions you have! I wear prescription sunglasses. Is that possible with these shades? @Sarah We haven't tried this so we can't recommend switching out the lenses. The sunglasses aren't specifically made for that. how effective are these for kayaking? need for sun glare . I like glass to curve on sides. any of yours have this? 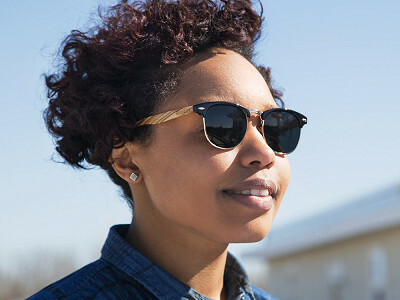 @andrena The lenses are specially designed so that they are both dark and polarized, offering 100% UVA/UVB protection even in intense lighting conditions. Our Aviator style, although not curved, extend out a little further than most of our styles. How do you choose which wood you want? Or are they specific to the style? I love these and want to order! @Christy I see they are made in China. How fast is shipping? @Christy The wood is specific to the style. 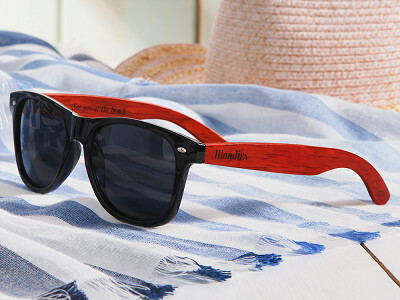 The Grommet has our sunglasses in stock, so they will be doing the shipping and I would say they would arrive within a week or so! is this wood sustainably sourced? Meaning, NO RAIN FOREST or other endangered forest impact? @Christina As far as we are able to find out! 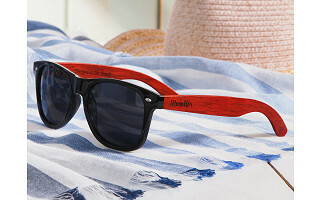 We started out with Bamboo Wood Sunglasses and are keen on keeping them 'earth friendly'!! Hi! The picture shows them in red. Are there different colors available? I didn't see an option when I tried to order.